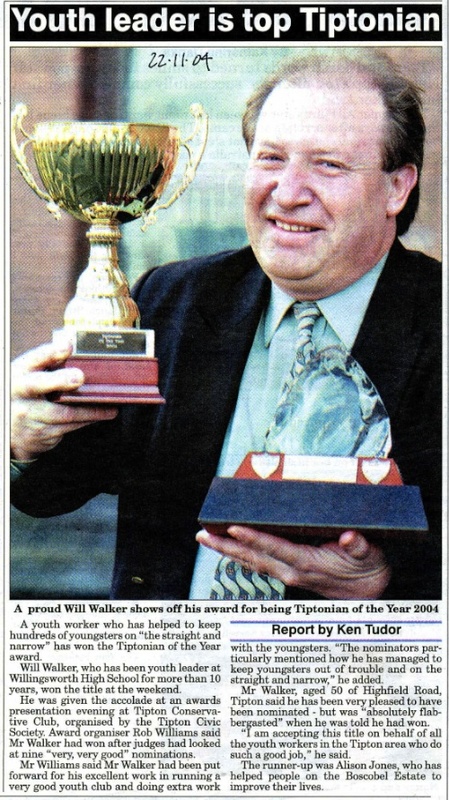 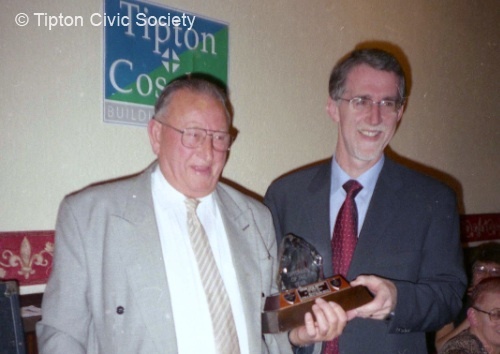 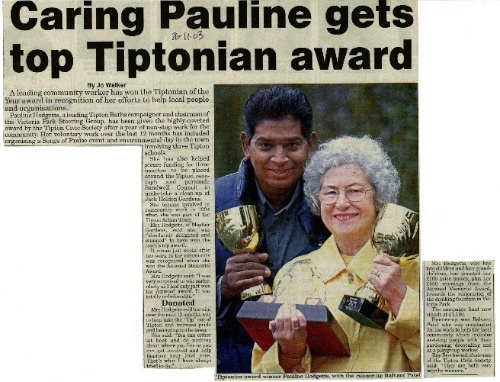 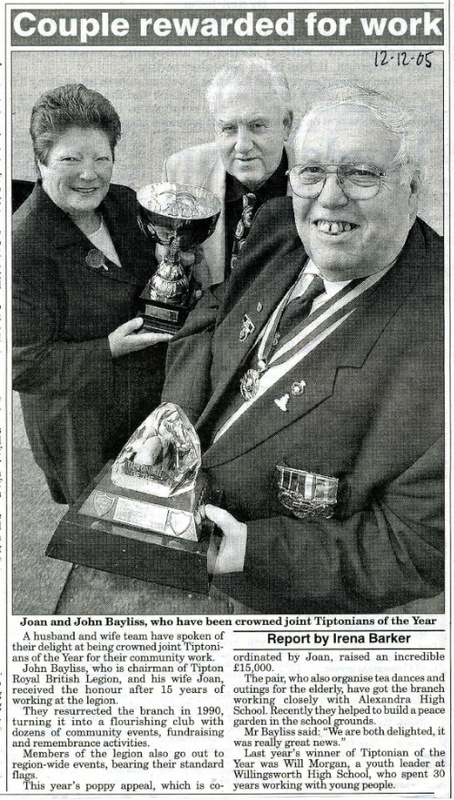 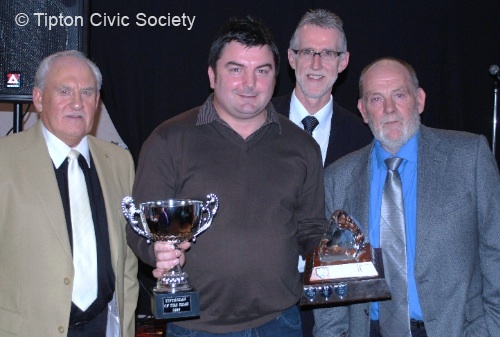 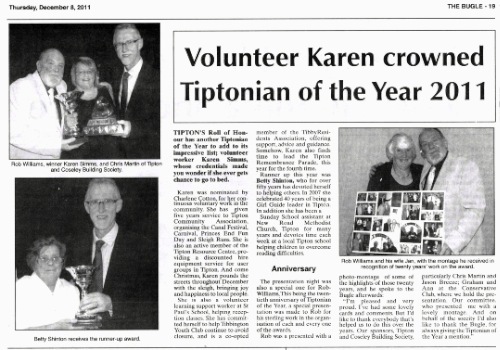 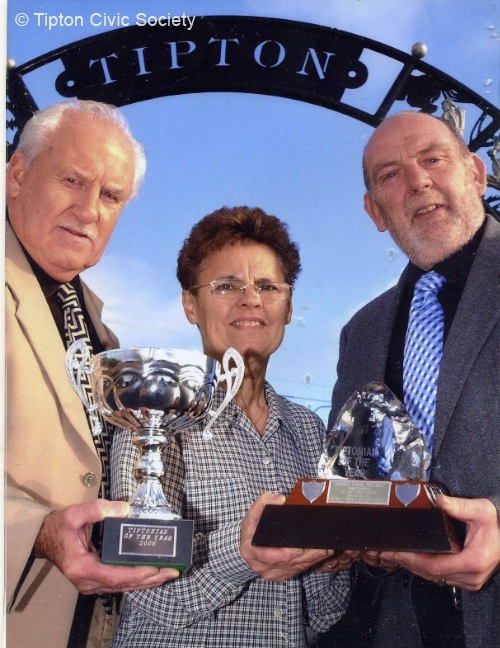 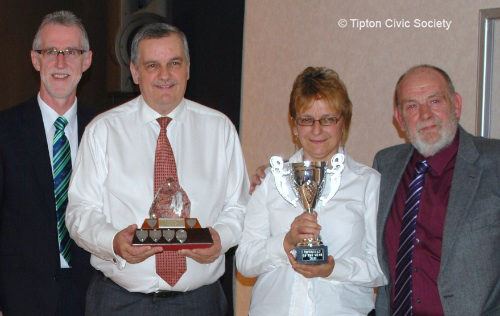 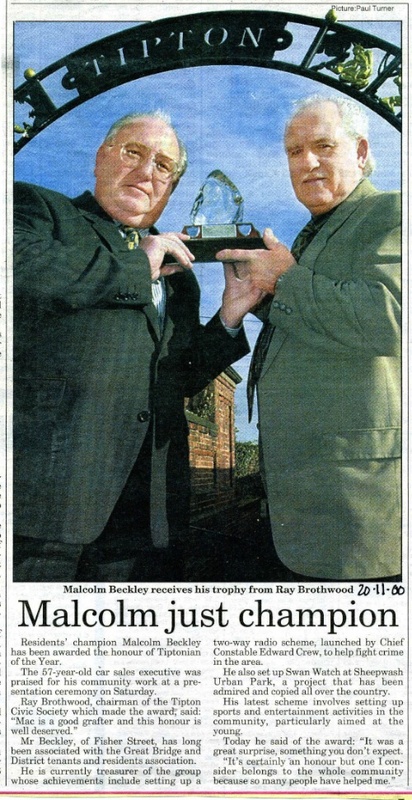 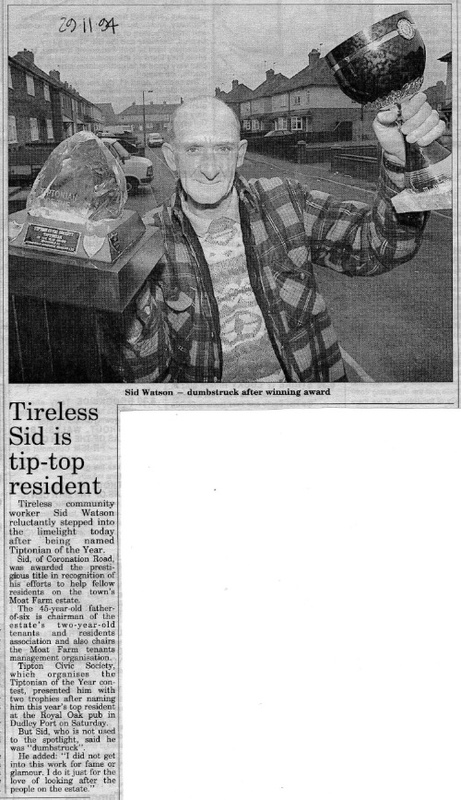 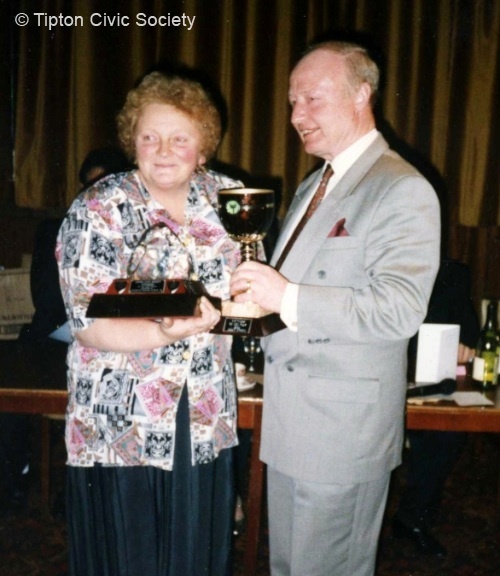 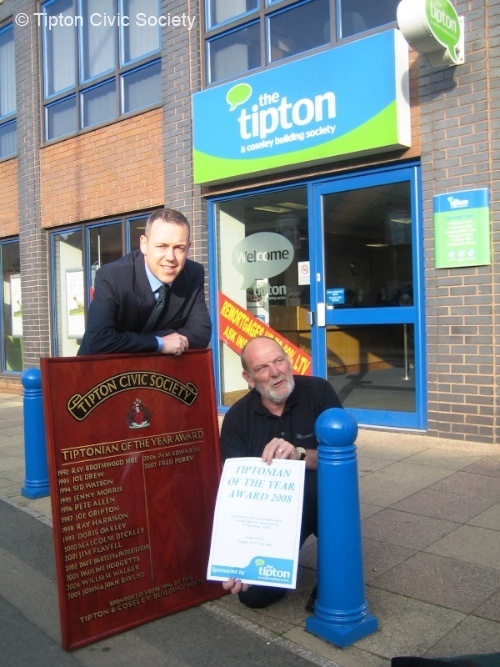 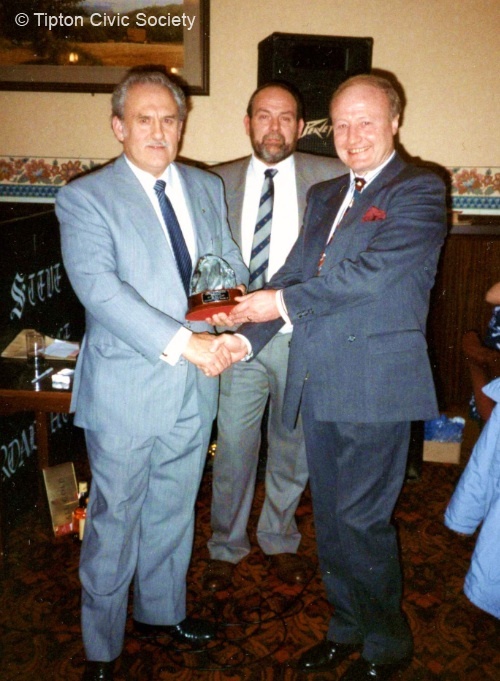 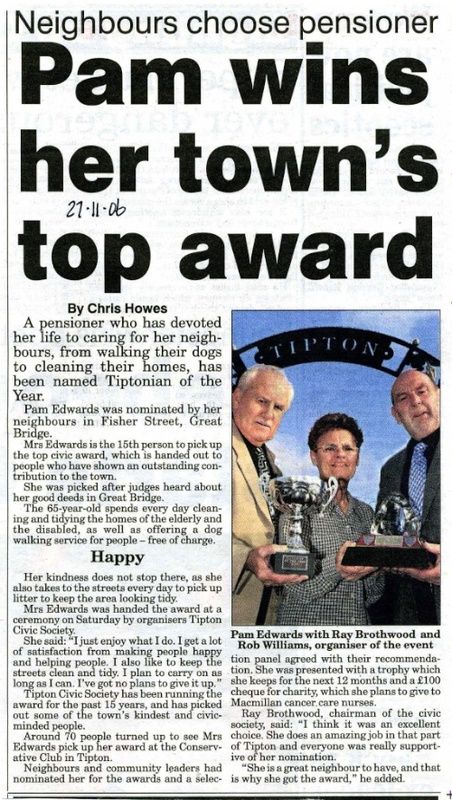 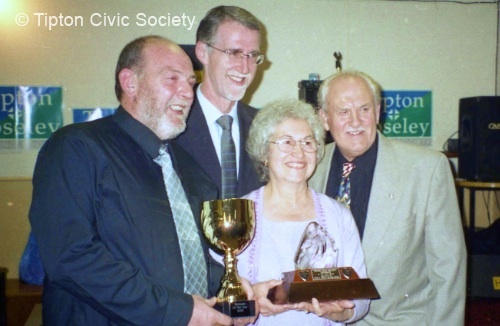 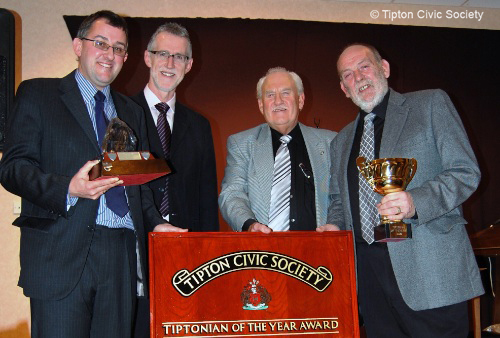 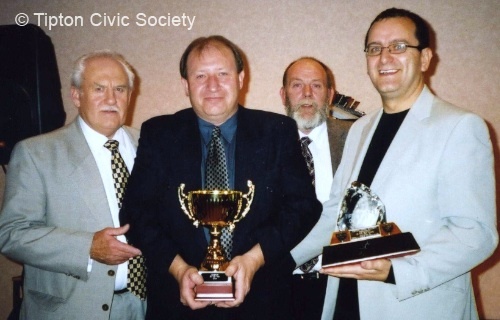 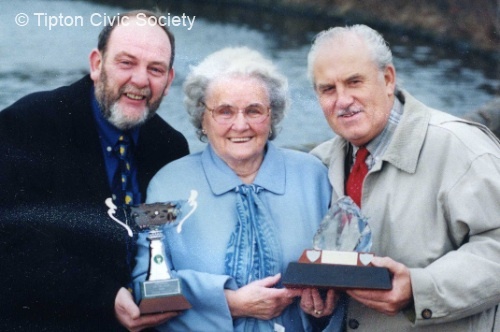 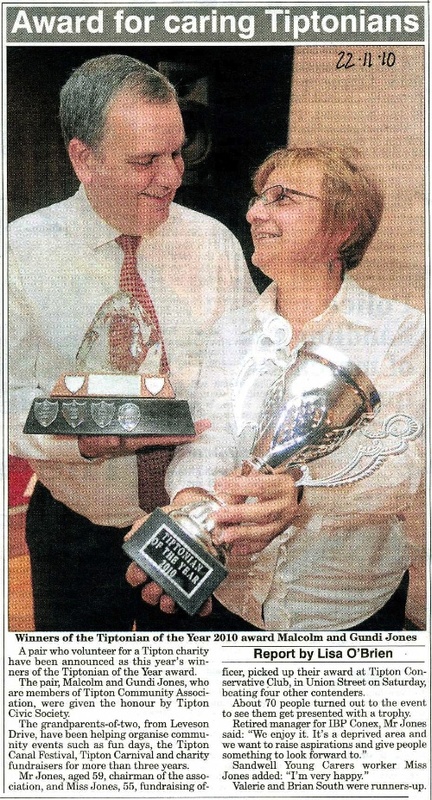 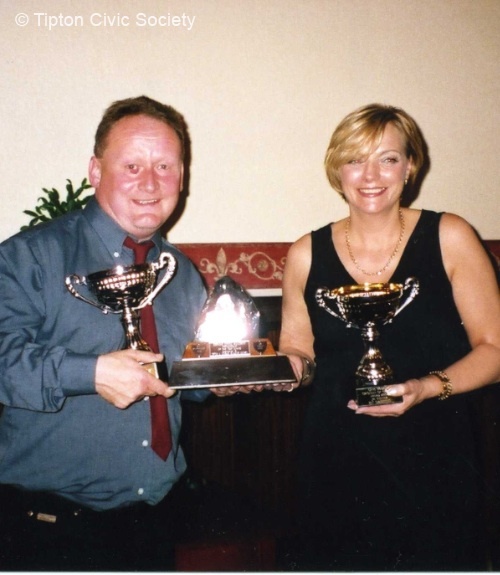 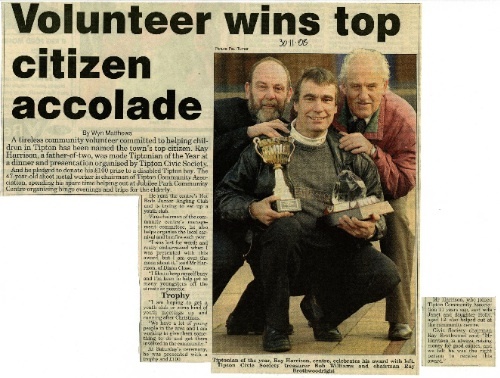 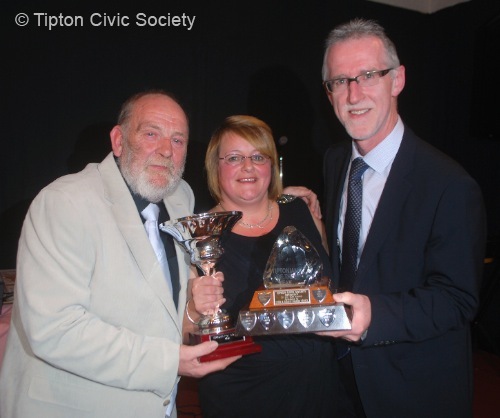 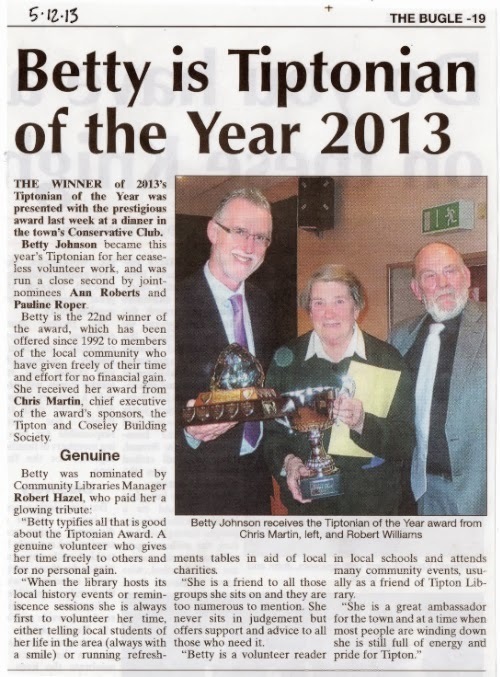 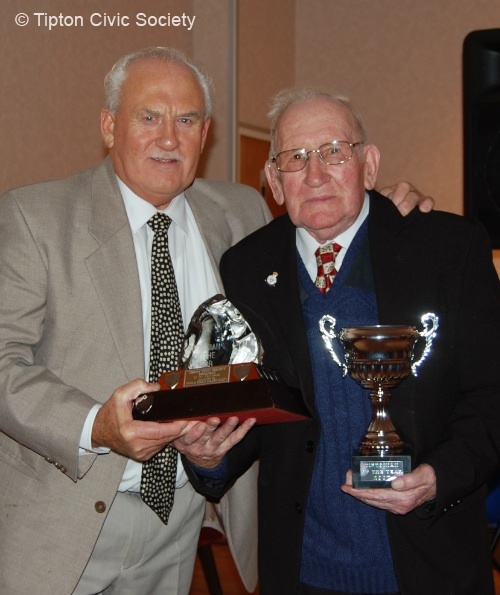 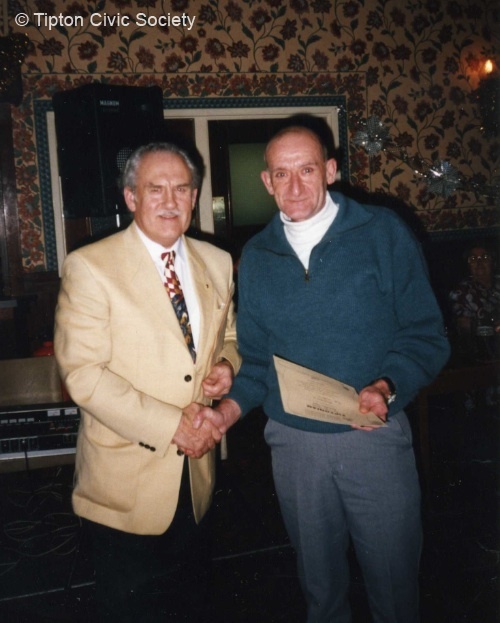 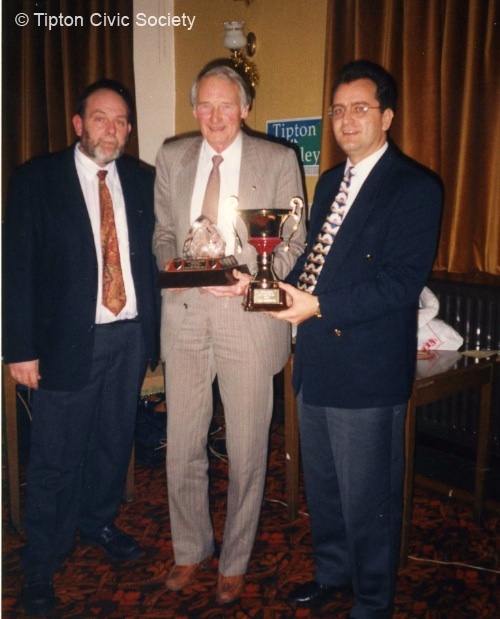 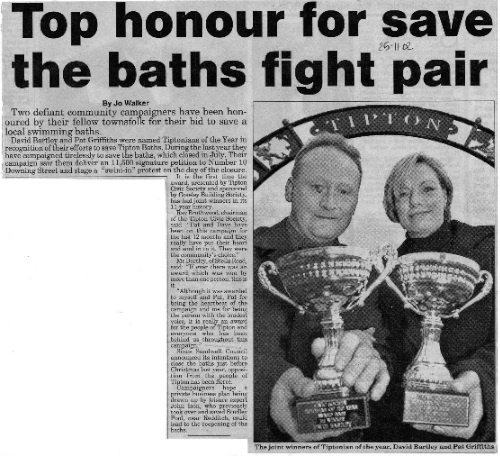 The Tiptonian of the Year Award was established in 1992 to recognise people who have made a special contribution to Tipton and its community through voluntary work. 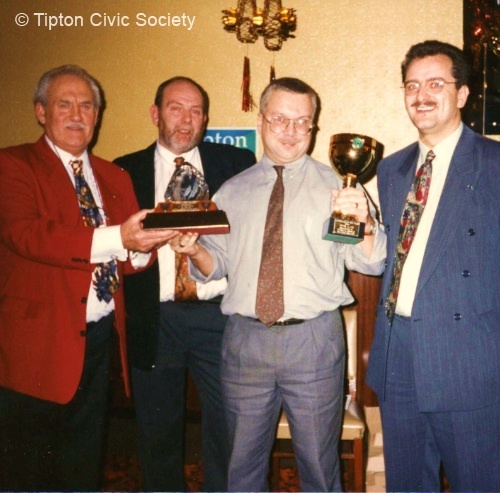 The Award was sponsored from 1992 to 1995 by Pennington Insurance Brokers Ltd.and thereafter by the Tipton & Coseley Building Society who also donated a Tiptonian Roll of Honour board which is now on display in Tipton Library. 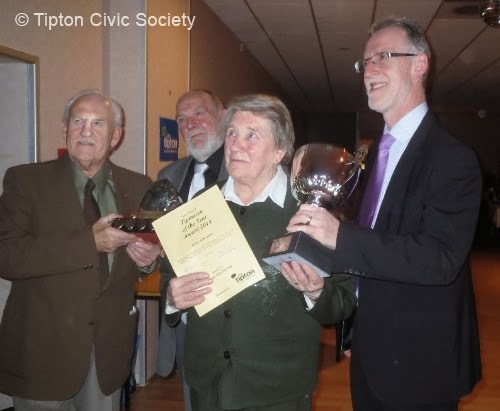 It was with great regret that the Society took the decision not to continue with the Award after 2013. 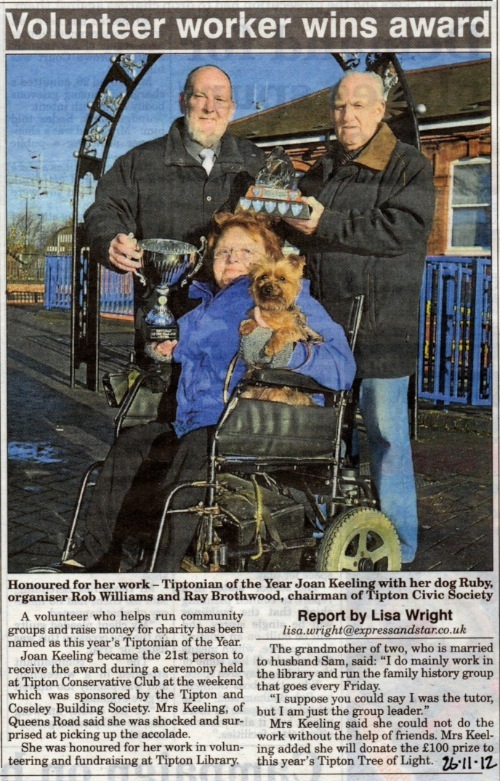 The reason for this was the appearance of the Pride of Tipton Awards, organised by the RSA Academy with sponsorship from Asda and the local Police Team, which somewhat took the wind out of our sails. 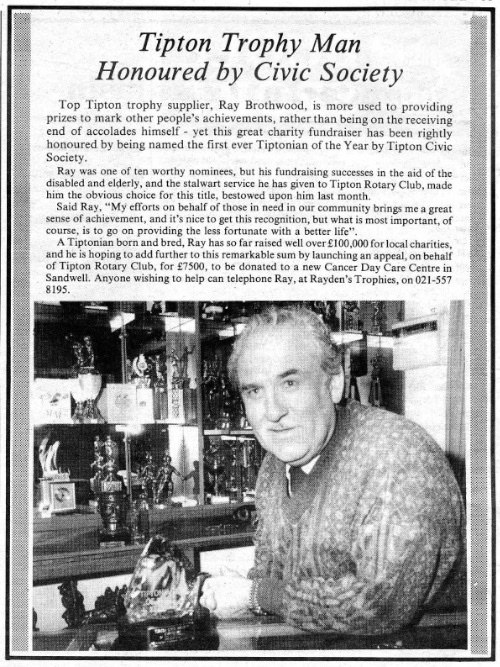 Sadly the RSA did not consult us on the possibility of working together or even acknowledge our pioneering work over a period of 22 years. 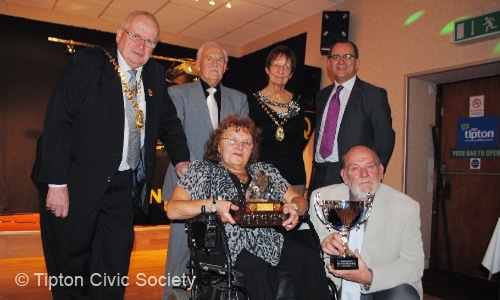 Roll of Honour board for the winners of the award. 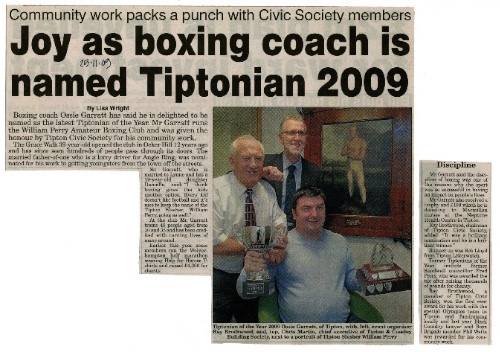 On 28th September 2008 Jason Breeze of the T&CBS hands over the board to award organiser Robert Williams of the TCS outside the Building Society headquarters in Owen Street. 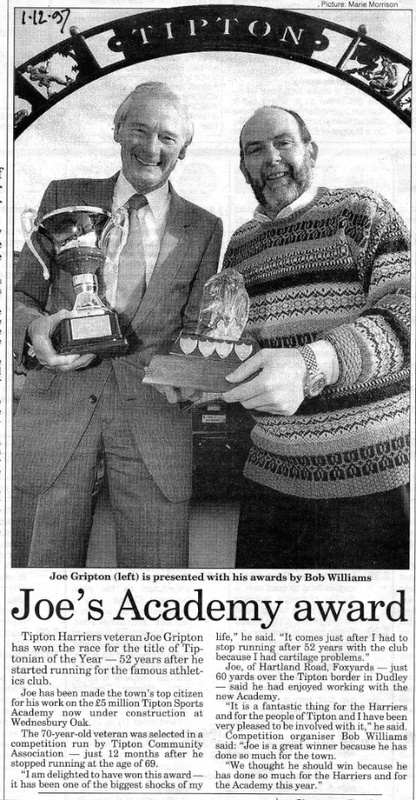 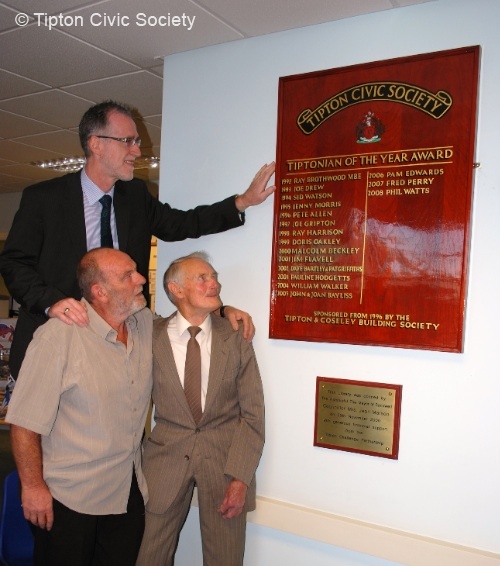 On 12th September 2009 Chris Martin, chief executive of the Tipton & Coseley Building Society unveils the Roll of Honour in Tipton Library watched by Robert Williams and the 1997 Tiptonian of the Year, Joe Gripton. 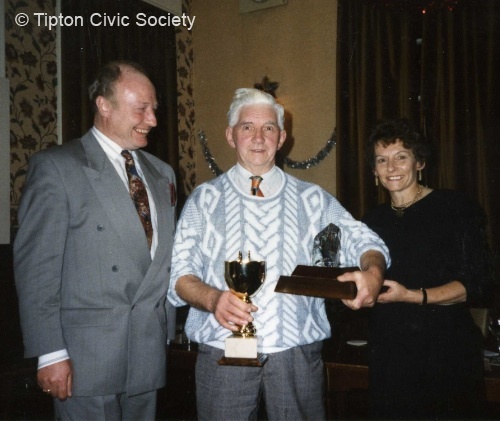 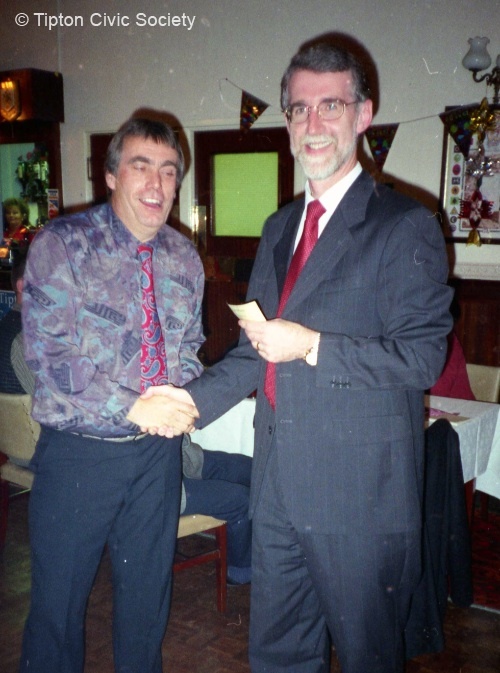 The first Tiptonian winner was Ray Brothwood, nominated for his prodigious fundraising for local disabled children. 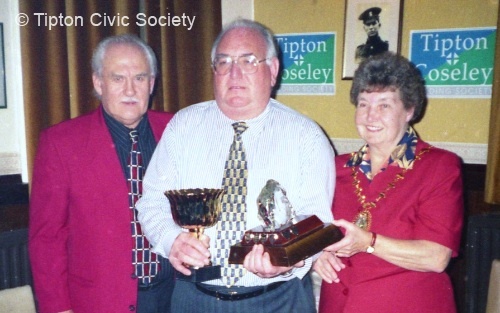 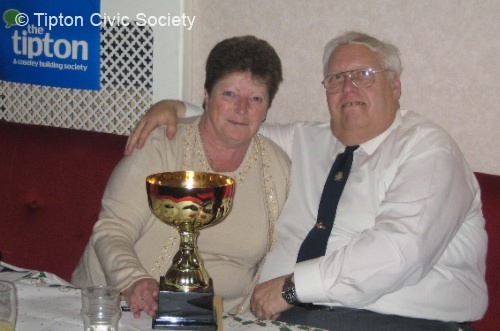 Ray subsequently joined the Civic Society committee and was later elected as chairman. 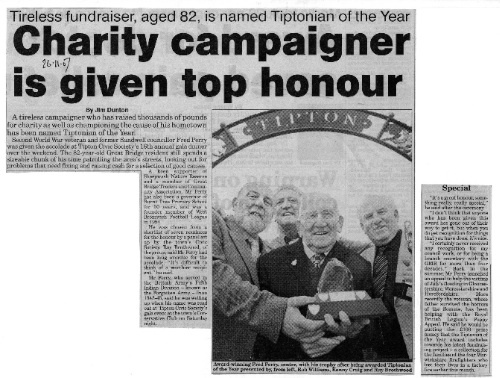 In 2008 he was awarded the MBE in further recognition of his charity work.